Bodrum Airport Yalikavak Transfer, we provide reliable, low-cost Bodrum airport transfers to Hotels in Yalikavak, Bodrum with using a modern fleet of fully licensed & insured minivans and minibuses. Euron Transfer is the ultimate stop and ideal solution if you are looking forward to easy and reliable service from airports to hotel. Book your private airport transfer online and pay to the driver uppon arrival, online booking. You can’t imagine a great vacation without a lavish and comfortable transportation. It is not possible to have fun with friends and family when you are already tired during the travel. After a long flight, all you need is a well-maintained, clean shuttle that can take you directly to the airport or your hotel. In the same way, you need a prompt transportation that can drop you at the airport at the right time so that you can catch your flight. 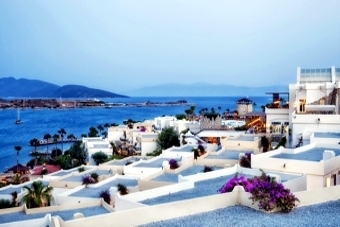 Having Bodrum Airport Yalikavak Transfer brings a good number of benefits to you. First, you don’t need to be worried about time. A lavish vehicle with a well-dressed chauffeur will be there at your given destination to take you wherever you would like to go. There is no need to stand by road side and negotiate the fair with taxi drivers. The drivers take and load the luggage of the travelers and allow them to get relaxed. In case, you want to know about the city, the drivers can guide you during the ride. Bodrum Airport Taxi Service is a reasonably priced service so it is in the reach of everyone. Owing to great customer support, the best price and various options, this service is gaining popularity among travelers. 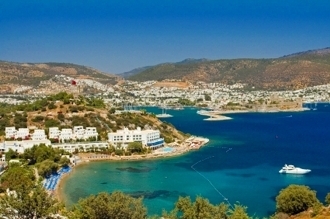 Check the Rates of Bodrum Airport Yalikavak Transfer here. Book your taxi now and get ready for a great trip, Online Booking.